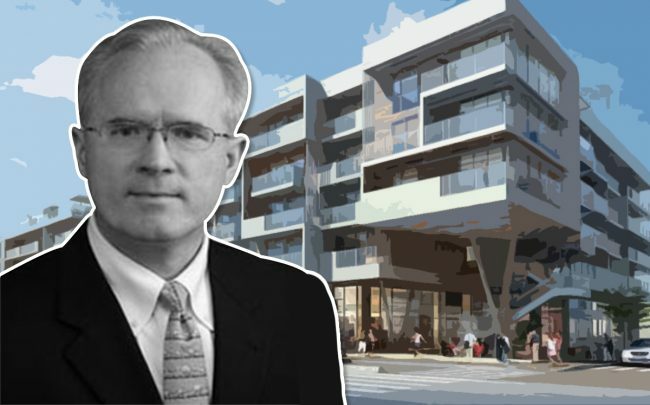 Fifield Companies will use an $81.7-million construction loan for the second part of its Catherine Santa Monica residential development on Lincoln Boulevard. Comerica Bank provided the loan to the Chicago-based developer, which is reshaping the boulevard with its $150-million project. It will include 282 units and more than 25,000 square feet of retail space in four buildings when complete. The properties are being developed next to each other. Crews recently broke ground on the second phase at 1625 Lincoln Boulevard. That part of the project will build 192 units, and take two years to complete. The first phase at 800 Colorado Avenue is already under construction and set to open in January, said Kevin Farrell, president and COO of Fifield Realty Corp. It will include 90 units. Unit types include studios and one- and two-bedroom apartments. The structures include fitness rooms, business centers, pools, screening rooms and entertainment space. The development was previously known as the Lincoln Boulevard Collection. Fifield and Cypress Equity Investments formed Century West Partners to develop projects on the West Coast. Fifield also filed for a 310-unit mixed-use project in Monrovia earlier this year, and Cypress Equity is completing the 66-unit building down the street from Catherine Santa Monica at 1641 Lincoln Boulevard. Nearby, WS Communities is building a mixed-use complex with 40 units. WS Communities is a spinoff of NMS Properties, which is also developing a 100-unit building on 7th Street in Santa Monica.